Nabbing a knighthood or a damehood is no easy feat. Only a select group of high achievers in a variety of disciplines are chosen each year to receive the highest chivalric honors, the Knight Commander and Dame Commander, respectively. The honorees who received these titles have dedicated their lives to the arts, sciences, government work, humanitarian efforts and beyond. According to Awards Intelligence, "a knighthood or damehood can be presented for all types of different achievement, but usually the person nominated will have made a major contribution to the country at a national or international level; their work and achievements will be viewed as an inspiration to others; and they may have influenced their peers, industry or the nation through their sustained and outstanding commitment to their chosen area." This kind of democratic nomination process, wherein the honor is open to everyone, has allowed some Americans to earn the honor of knight or dame (although there is the caveat that, because they are not British citizens, they can't use "Sir" or "Dame" officially). But regardless of your nationality, to be awarded a knighthood or a damehood is a great honor. As one might expect, there's a certain level of notoriety and respect that comes with the title, as well as a kind of public reverence for your work. It's a sign you've achieved a unique kind of greatness that honors your life's work, and that's not too shabby if you ask us. While the people receiving the honors aren't always celebrities, we're more likely to hear about who is being honored in a particular year when a celebrity does accept this high honor. This was the case when, in March 2018, Variety reported that former Beatles drummer Ringo Starr was awarded the Knight Bachelor of the Order of the British Empire for his services to music. A fair amount of famous (frequently British) faces have come before Starr when it comes to getting a knighthood or damehood, but who are they? Keep clicking and see. 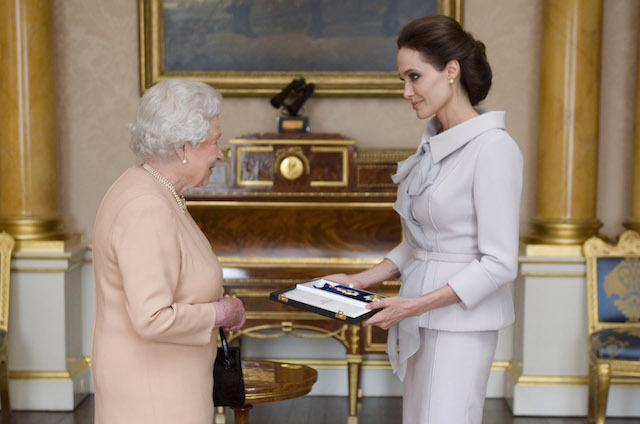 Angelina Jolie was honored for her humanitarian work in 2014 when she was given an honorary damehood. 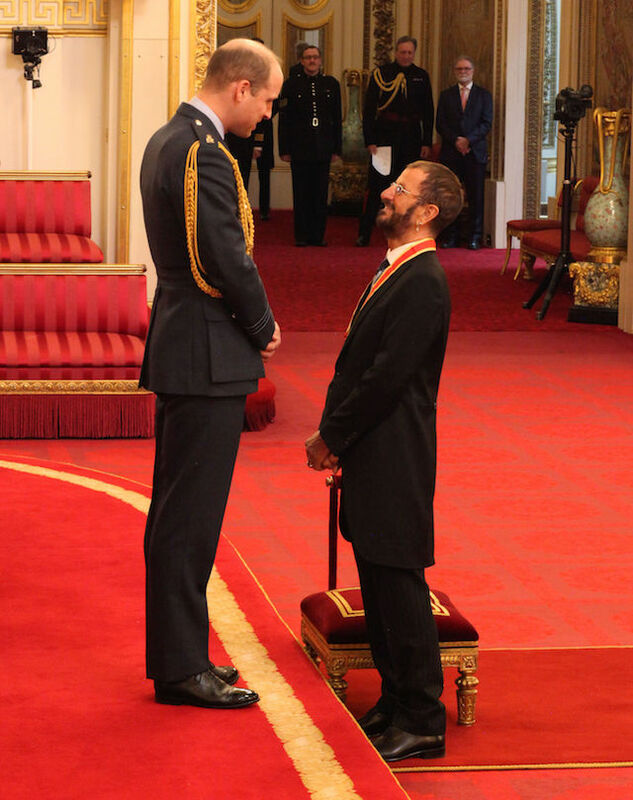 Former Beatles drummer Ringo Starr, honored under his birth name, Richard Starkey, was given a knighthood by the Duke of Cambridge in March 2018. 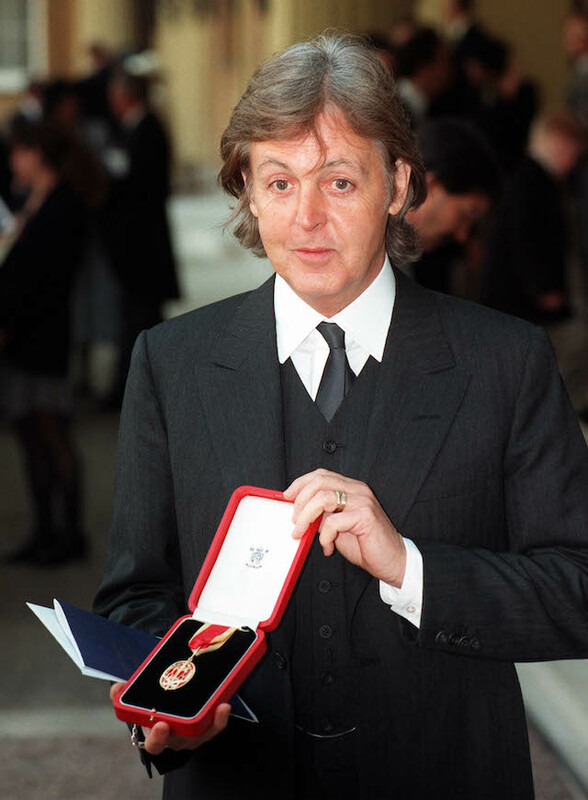 Paul McCartney, a founding member of the Beatles, was honored for his contributions to music in March 1997. 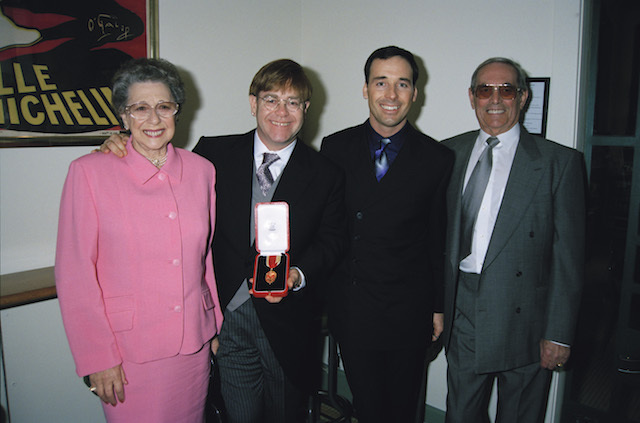 Elton John was awarded the knighthood in 1998 for both his contributions to music and his charitable efforts working in AIDS awareness. 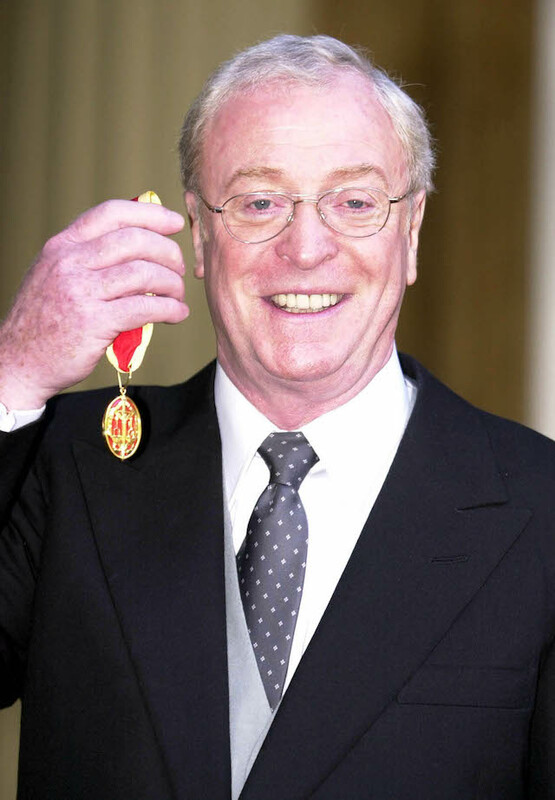 Michael Caine was given the knighthood for his contributions to film in November 2000. 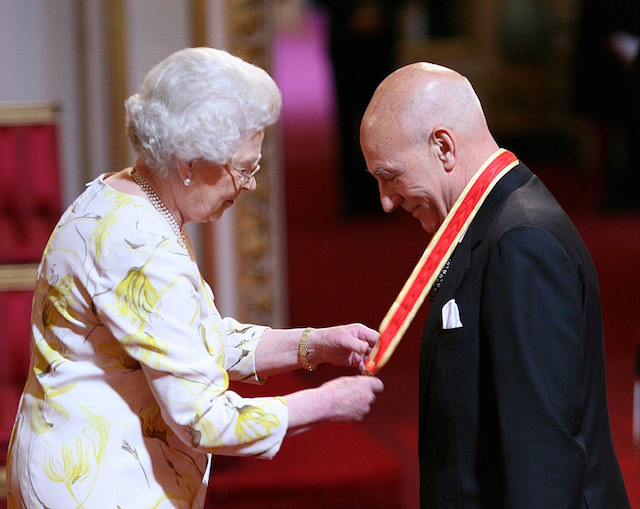 Renowned British actor Patrick Stewart (who younger audiences might recognize as Captain Picard from Star Trek: The Next Generation or Professor Xavier from the X-Men films) was knighted in 2010 for his services to the arts. 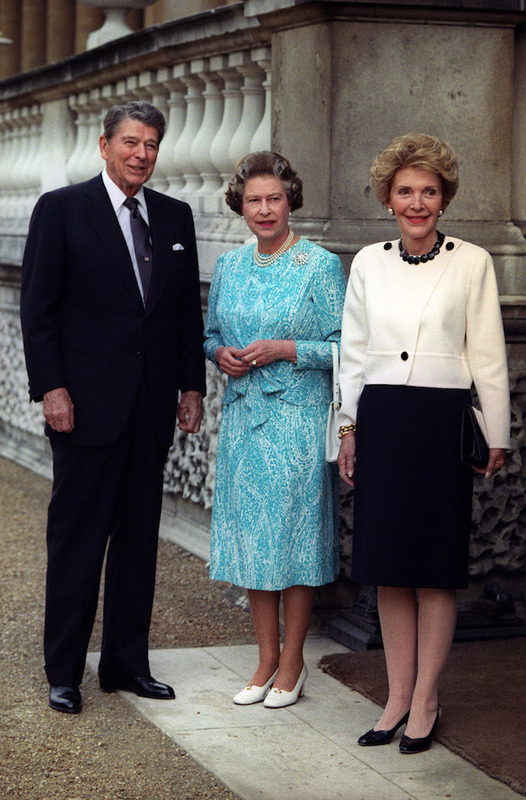 Ronald Reagan, who had exited the U.S. presidency just a few months before, received his honorary knighthood in June 1989. 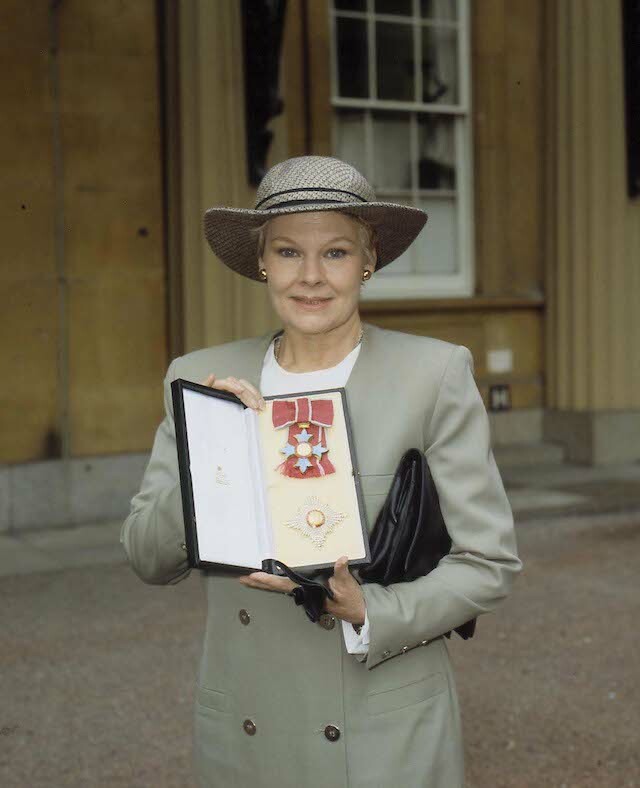 Judi Dench was made a Dame Commander of the Order of the British Empire in 1988 for her services to acting, 18 years after she was made an Officer of the Order of the British Empire in 1970. Hellen Mirren famously rejected receiving the Commander of the British Empire (CBE) honor in 1996, but she did accept her damehood in 2003, which Queen Elizabeth II bestowed on her. In 2015, Prince Charles bestowed upon actor and humanitarian Joan Collins, best remembered for her role on the 1980s soap opera Dynasty, a damehood for her charitable work. 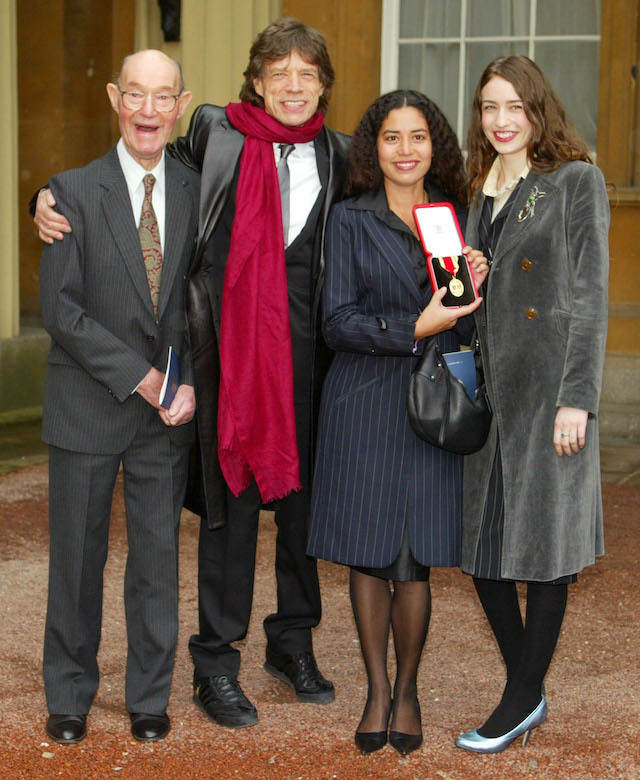 Rolling Stones frontman Mick Jagger was given a knighthood for his services to pop music officially in 2002, but because he was on tour at the time it was announced, Jagger actually picked up his medal and attended the ceremony in 2003. 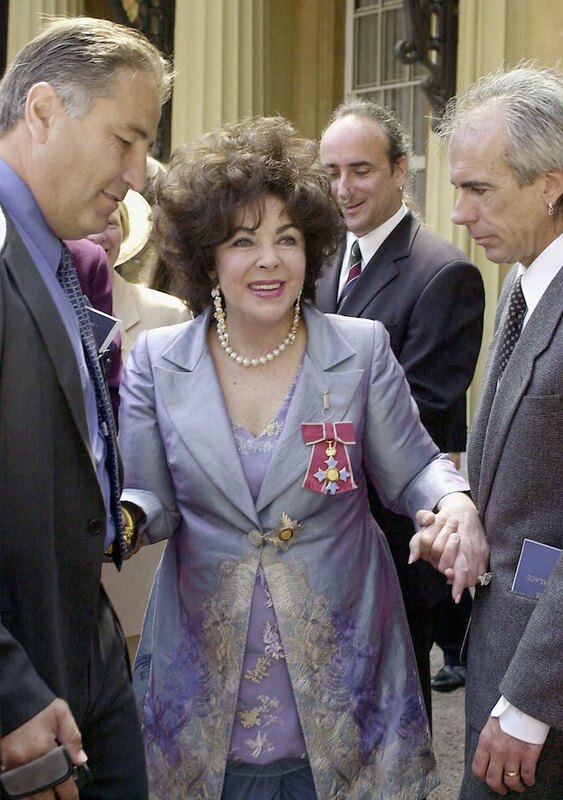 British-born screen legend Elizabeth Taylor was awarded a damehood for her contributions to acting in 2000. 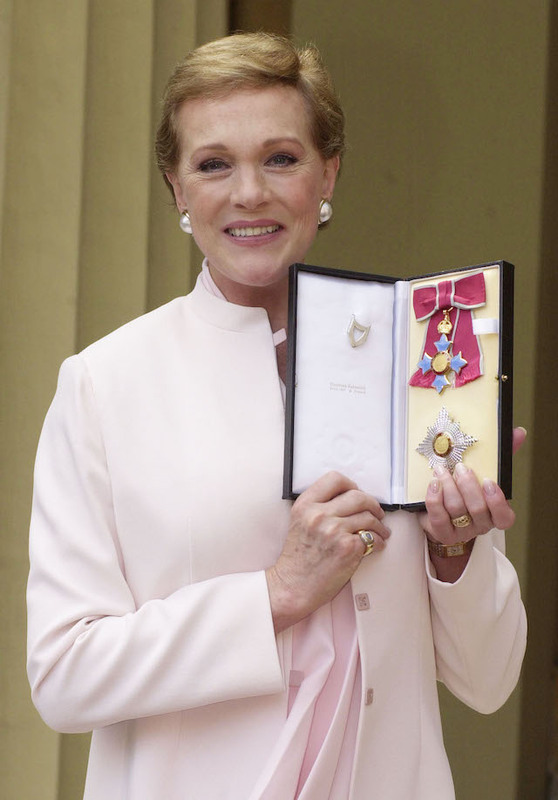 Powerhouse performer Julie Andrews, whom audiences have grown up watching in movie musicals like Mary Poppins and The Sound of Music, received the Dame Commander of the Order of the British Empire in 2000. 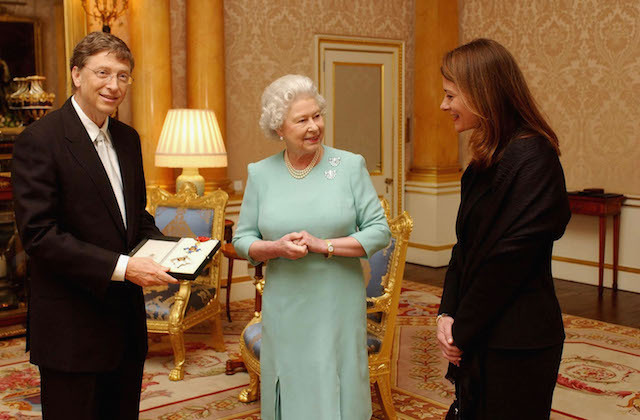 Bill Gates is one of the few famous folks of non-British origin who was given an honorary knighthood, the Knight Commander of the Order of the British Empire, which he received in 2005. 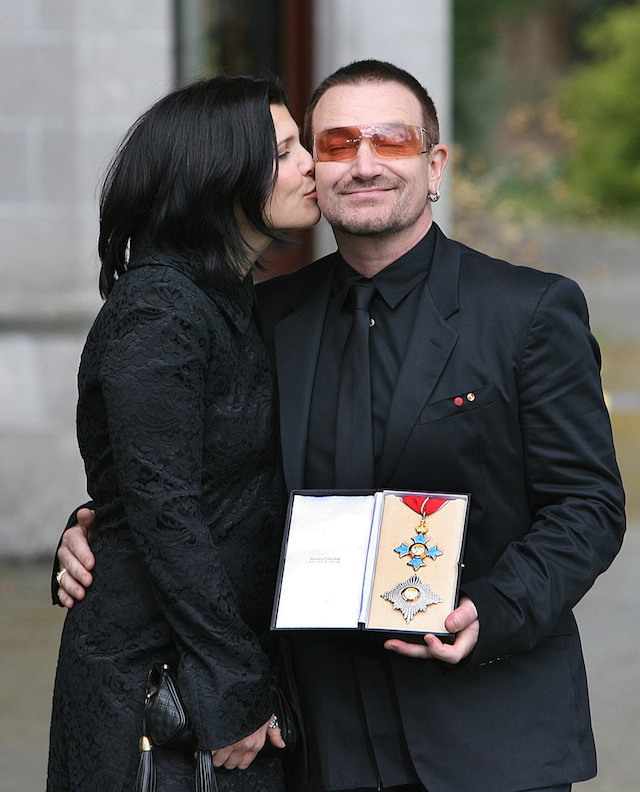 Bono was given then honorary Knight Commander of the Most Excellent Order of the British Empire for both his epic music career and his humanitarian work in 2007. 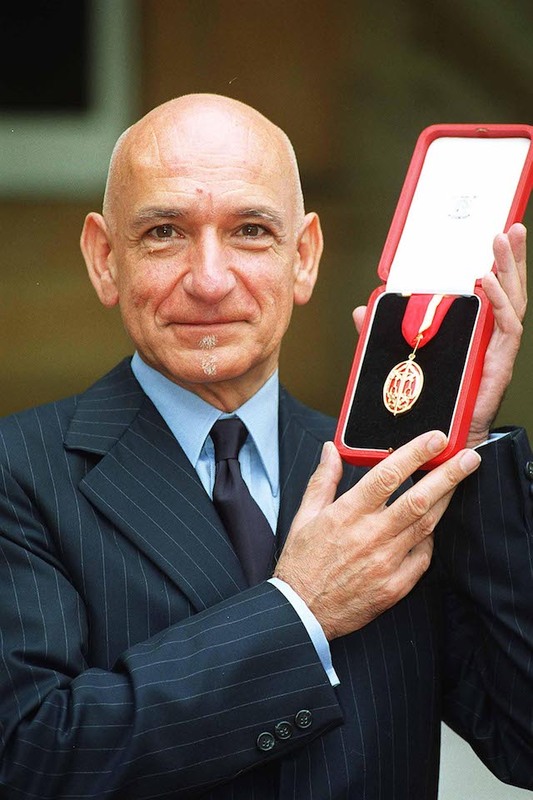 Ben Kingsley was made a Knight Bachelor in 2002 (the same year he was nominated for Best Supporting Actor at the Oscars) for his services to the dramatic arts. 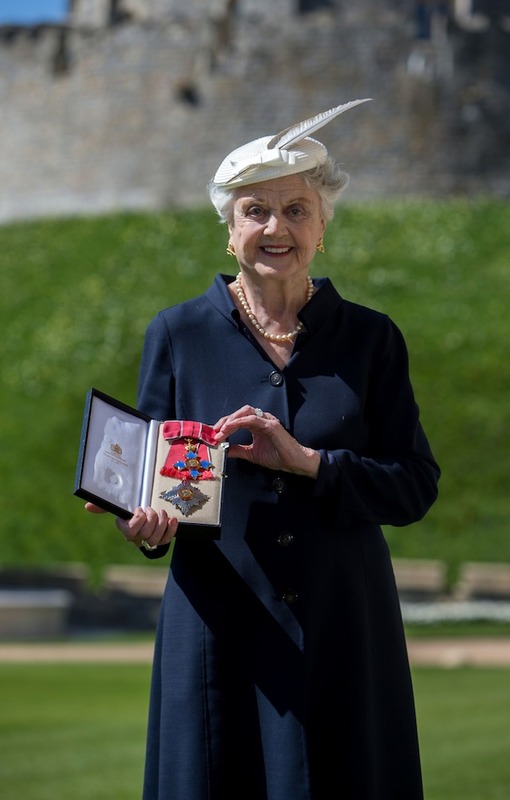 Murder, She Wrote actor Angela Lansbury was awarded a damehood in 2014 for both her acting work and her charity work. Smith has received a number of honors from Queen Elizabeth II during her lifetime. 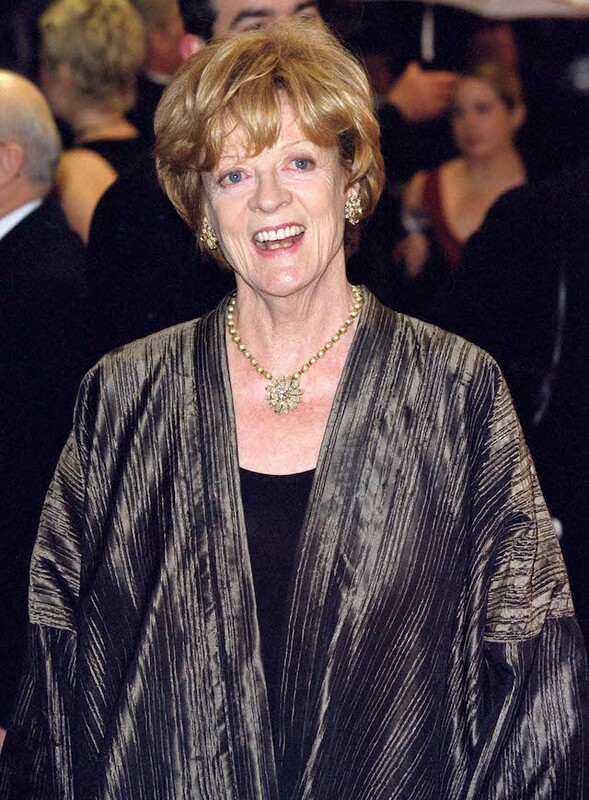 She received her damehood in 1990 and, in 2014, she was made a member of the Order of the Companions of Honor for her services to the arts. 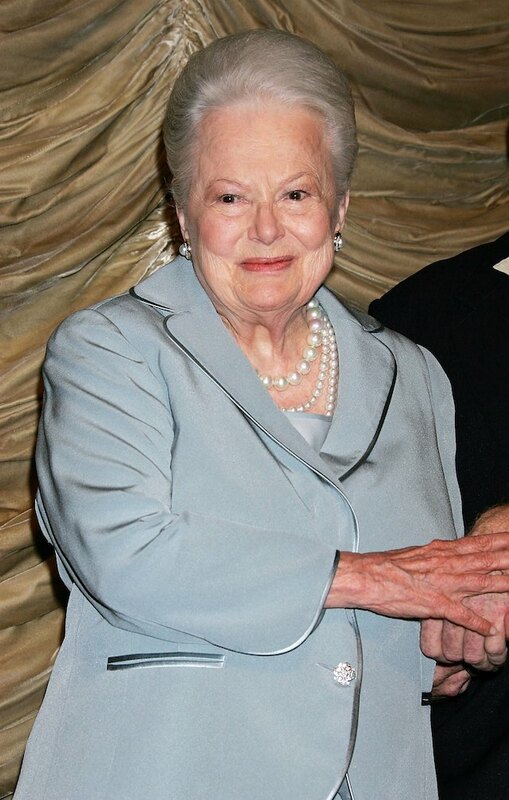 Legendary actor Olivia de Havilland, best remembered for her role in Gone With the Wind, was one of the oldest celebrities to have ever received a damehood when she was made a dame in 2017, just a few months before her 101st birthday. 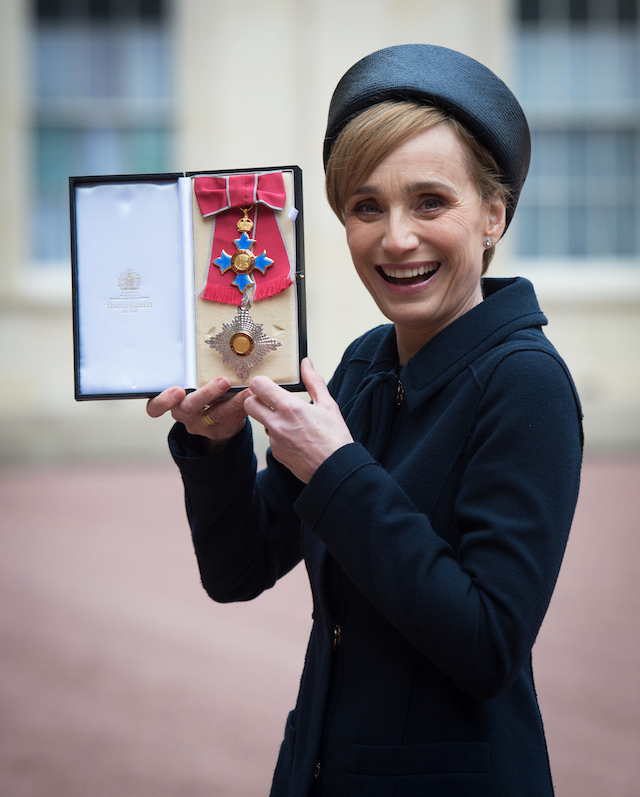 The English Patient star Kristin Scott Thomas received a damehood in 2015 for her services to the arts. 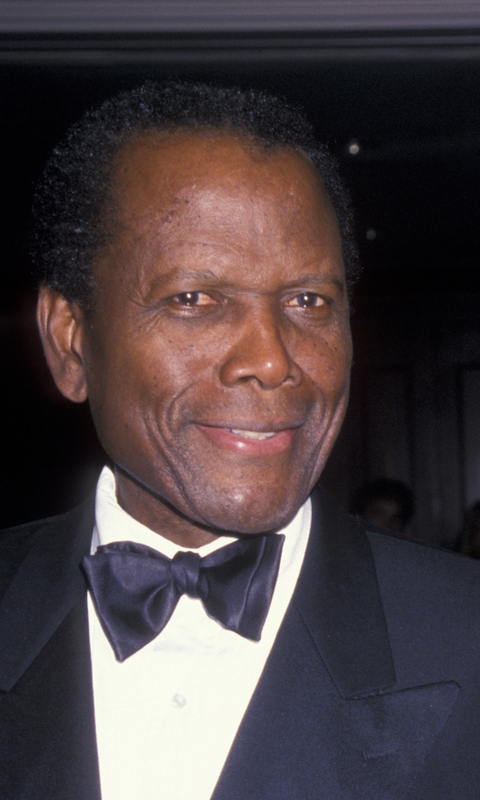 Sidney Poitier is one of the very few celebrities of color to have been made a Knight Commander of the Order of the British Empire, which he received in 1974 for his artistic contributions. 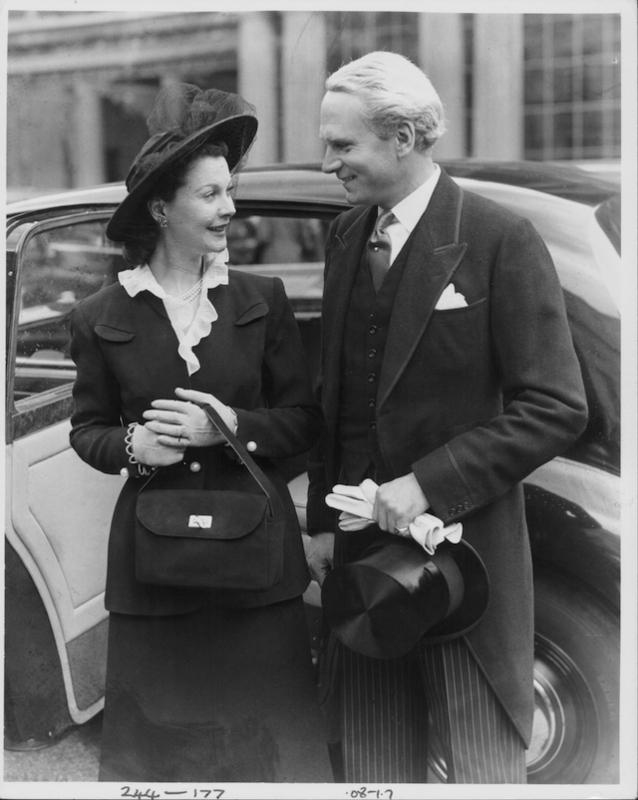 Laurence Olivier, now a revered actor of the stage and screen, received his knighthood for his services to drama in 1947. 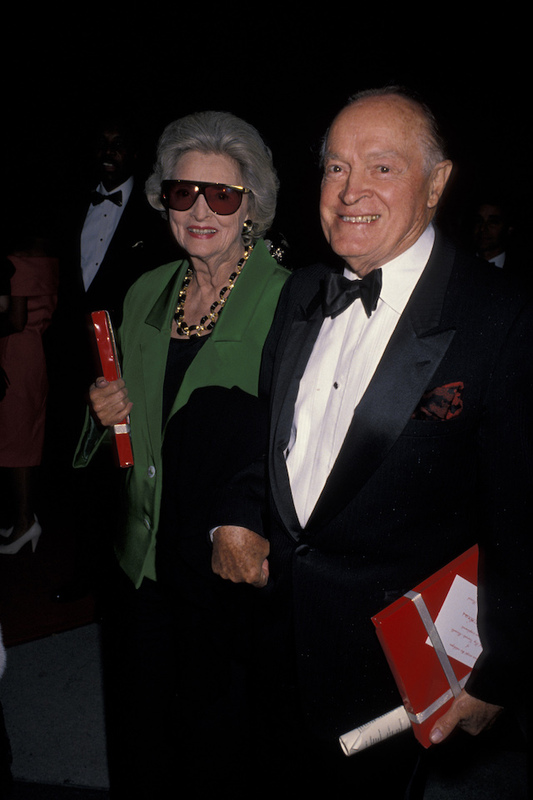 Bob Hope, an English-born comedian, received a knighthood for his work in the performing arts in 1998. 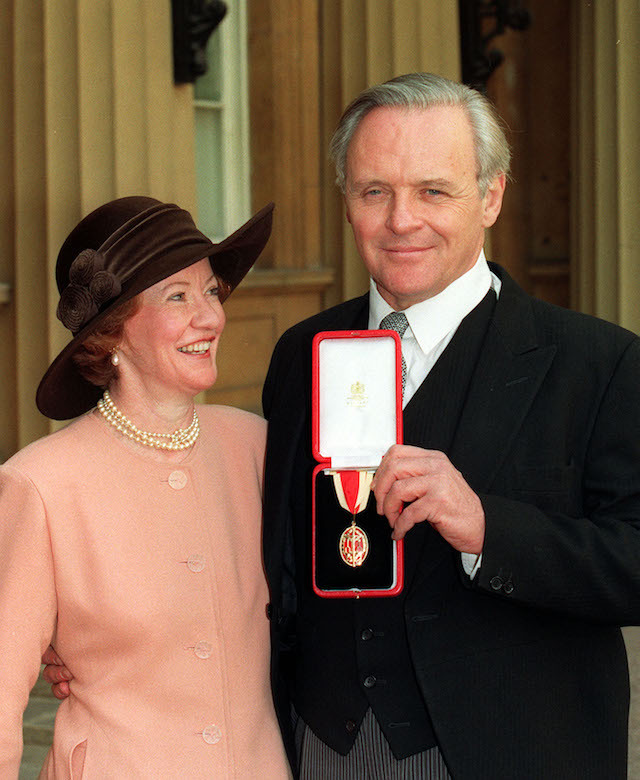 Anthony Hopkins was awarded his knighthood in 1992, just a few years after he portrayed the iconic Dr. Hannibal Lecter in 1990's The Silence of the Lambs. 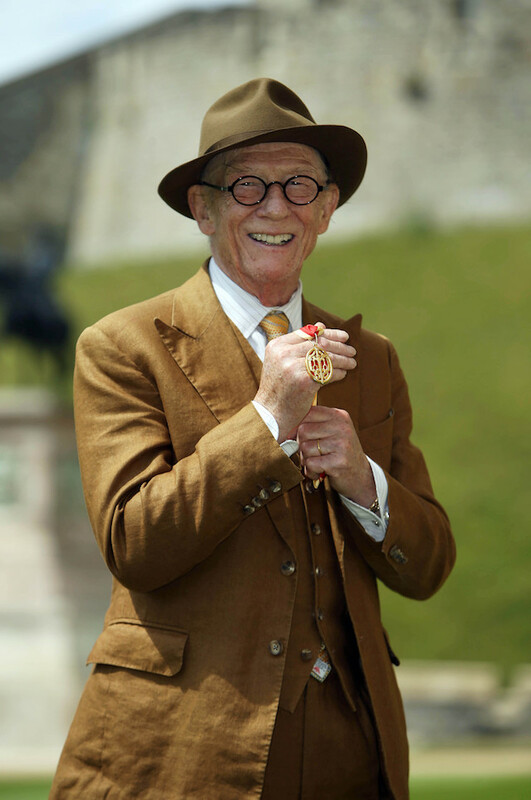 The late John Hurt was knighted at Windsor Castle in 2015 for his services to drama. 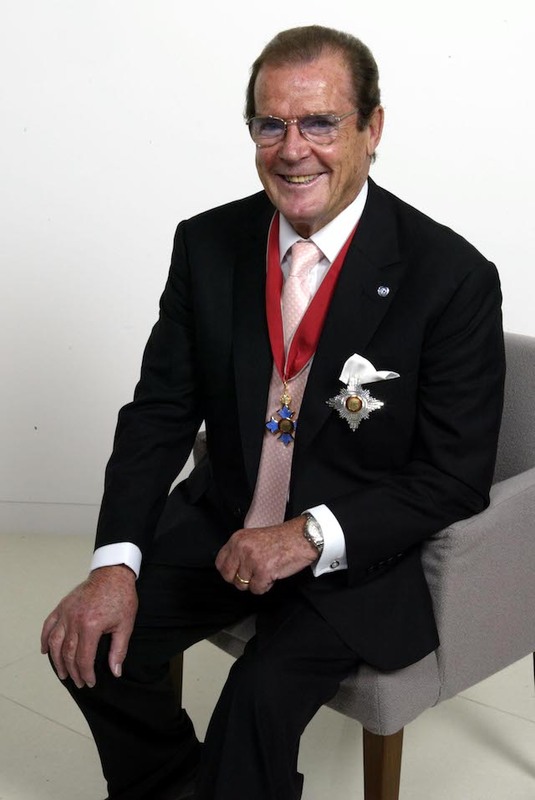 James Bond actor Roger Moore was knighted in 2003 not for his acting, but for his charitable endeavors during his life, including his work as a Goodwill ambassador. 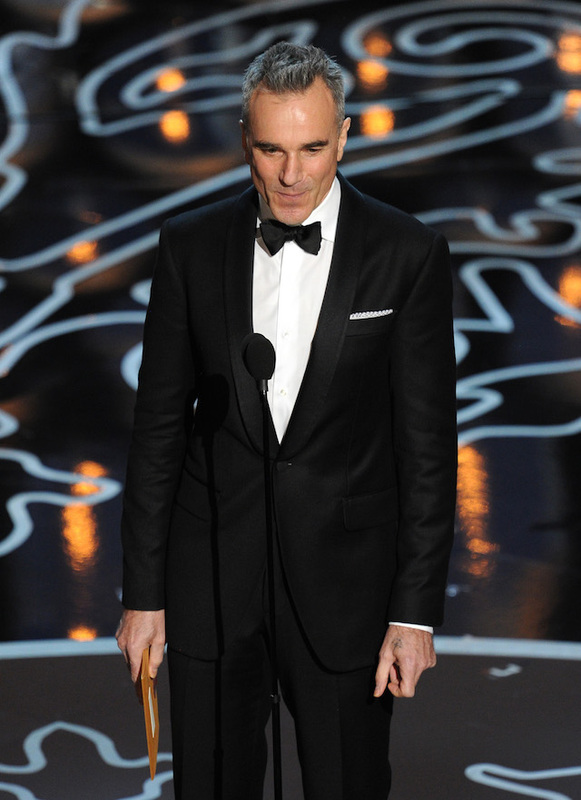 Prince William, the Duke of Cambridge, bestowed the honor of Knight Bachelor of the British Empire on actor Daniel Day-Lewis in 2014. 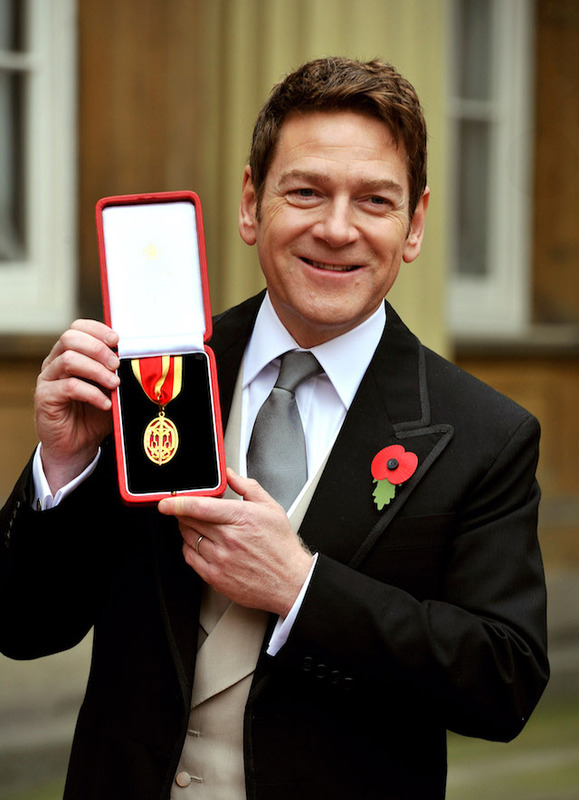 Beloved actor Kenneth Branagh, best known for bringing the works of Shakespeare to life on the big screen, was knighted in 2012.